Colorado residents seeking help for alcohol addiction can begin the journey to recovery by speaking with a professional through any of these alcohol help hotlines. Delphi Health Group offers round the clock support and information for callers struggling with alcohol addiction. Delphi Health Group provides alcohol and drug counselling, treatment advice, and treatment services for callers. Call the alcohol helpline at (866)-520-2708 to get access to these services, Calls are toll-free, 100% confidential and are can be made any time of the day, any day of the year. Services provided by the group are almost always under insurance coverage. National Alliance in Mental Illness (NAMI) Colorado Information Helpline provides information, resources, and treatment referral for callers with alcohol addiction. Call the alcohol hotline at 1 (800) 950-NAMI (6264) to speak with a representative. The alcohol abuse hotline is available Monday through Friday, 10 AM to 6 PM, EST. Colorado Crisis and Support Helpline provides help for Colorado residents in emergency situations. Call this statewide alcohol crisis hotline to speak with a professional that will provide solutions and support in alcohol crisis situations. Call the alcohol hotline number at 844-493-TALK (8255) to speak with a professional. These highly-trained specialists are available to chat with 24/7/365. Get information on resources and treatment programs available in Colorado by calling the Substance Abuse and Mental Health Services Administration (SAMHSA) National Helpline 1-800-662-HELP (4357). Representatives are available for calls 24 days a week, 365 days a year. The respresentatives speak both English and Spanish. 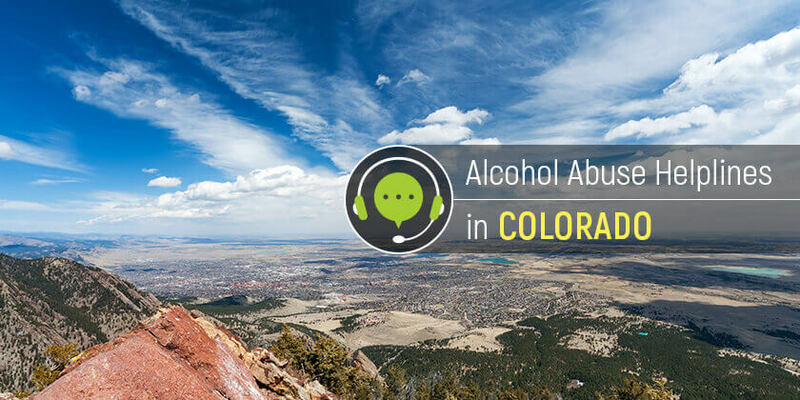 Colorado residents with alcohol addiction problems can get help by dialling any of these alcohol addiction helplines.